Our RapidFold Screens benefit from an easy to setup and sturdy design. There are no parts to install and no tools required as the frame and support utilise its own connectors. The screen fabric attaches to the frame with dome and grommet popper system. 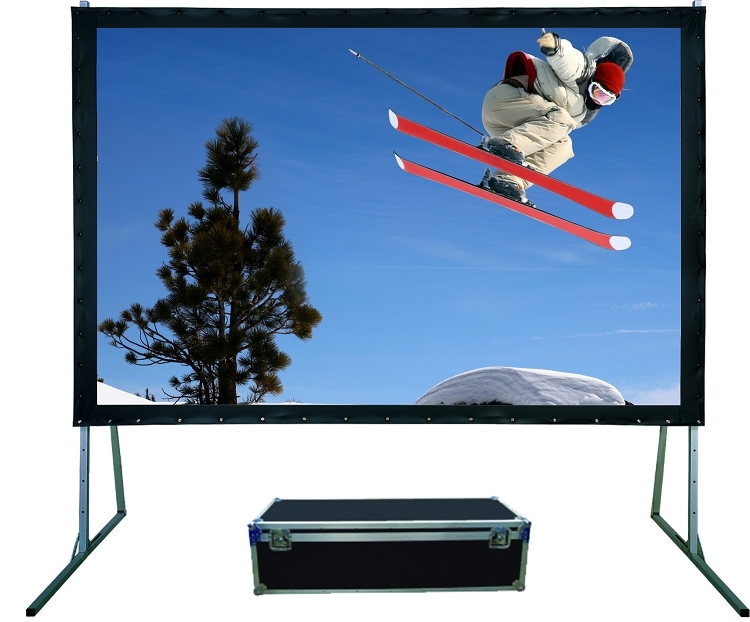 This portable solution comes complete with frame, legs and fabric (either front or rear projection) and is neatly packaged in an easy to transport flight case on wheels. It is height adjustable and ideal for larger screen presentations and conference applications. The approximate standing height is 2699mm.